DIY Science Lab will support collaborative research and RRI with local societies in order to enhance social innovation towards sustainability and public health. ​This solution will connect enterprises, organizations, and citizen groups that have a specific problem with potential problem-solvers such as researchers or innovators. The aim is the democratisation of science through putting open source-based sensing technology in the hands of communities. 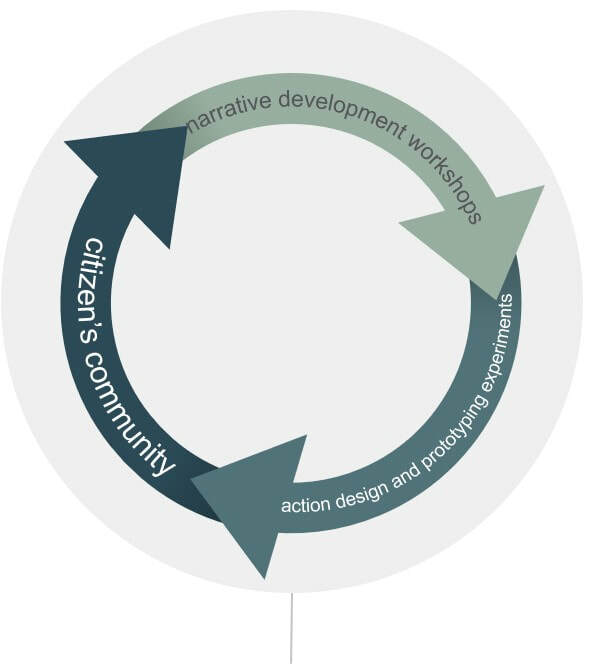 It provides methodologies and tools that help interested stakeholders outside the research community to set up collaborative projects or to start social enterprises. 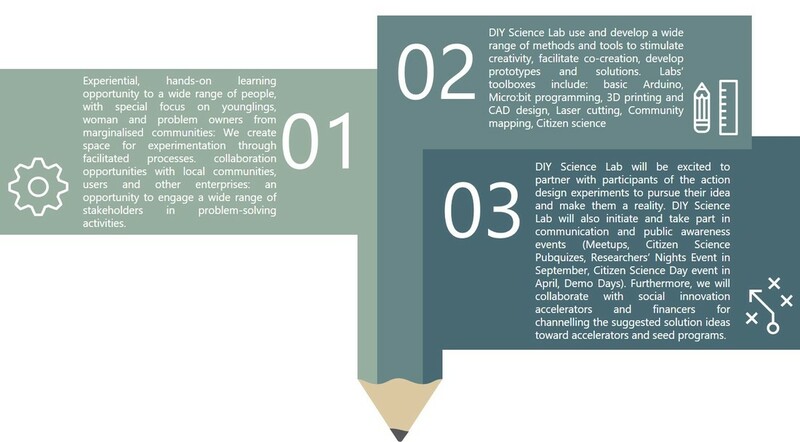 ​DIY Science Lab will mobilize the collective intelligence especially technological knowledge for fostering grassroots processes and practices as well as strengthen capacities, encourage creativity and boost the collective intelligence of inhabitants.